The biblical teaching that Jesus of Nazareth fulfilled the Old Testament promises of a perfect King and reigns over His people and the universe. The Old Testament hope for the future included a vision of a new king like David, called the anointed one, or the Messiah in Hebrew. The prophet Isaiah intensified the promises and pointed to the Messiah yet to come. Especially in this Sunday’s first reading, Daniel contained a vision of one like a son of man to whom was given dominion, glory, and kingdom, one whom all peoples, nations, and languages would serve. His dominion is everlasting and shall never pass away. His kingdom shall never be destroyed by. When Jesus Christ was born, His birth was announced in these categories. His earthly ministry then amplified these themes. 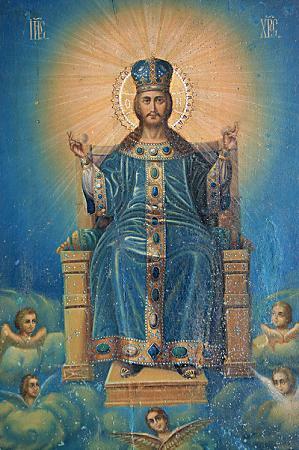 The Kingship of Christ is a spiritual realm established in the hearts and lives of believers. He administers His kingdom by spiritual means – the Word and the Spirit. Whenever believers follow the lordship of Christ, the Savior is exercising His ruling or kingly function.